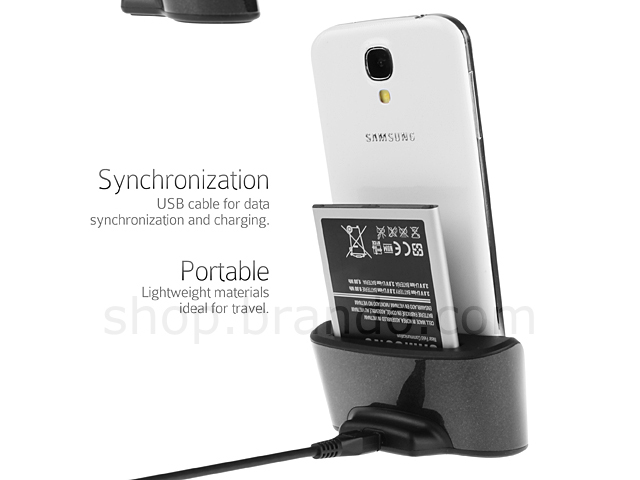 Data HotSync and battery charging cradle. 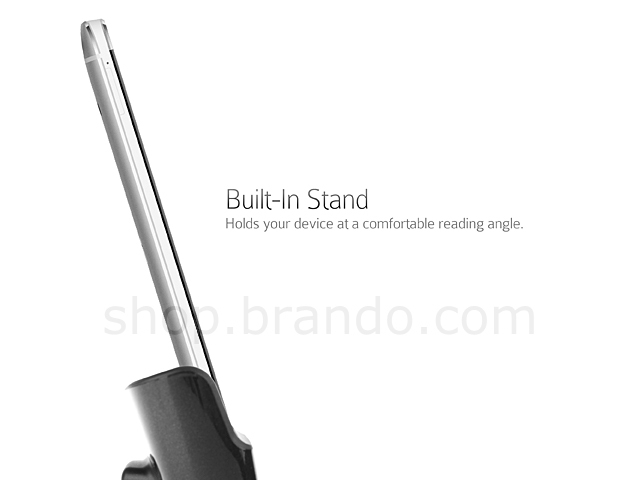 Holds your phone at a comfortable reading angle. 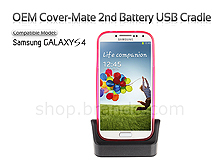 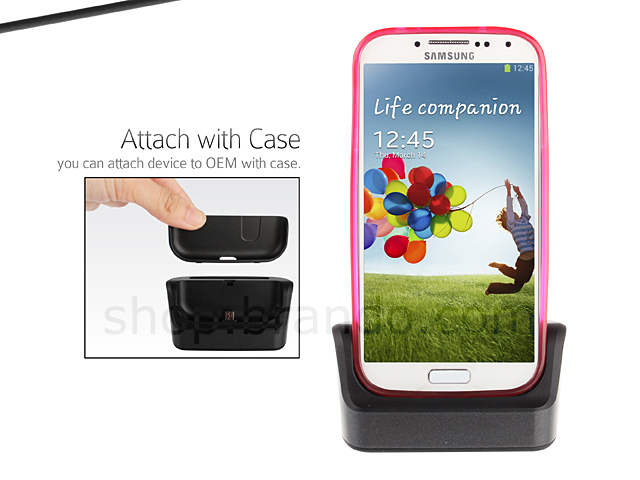 Keep Back case with your Samsung Galaxy S4 in the cradle and can use in stable condition.